Every homeowner prides themselves in the cleanliness of their house. Being a big part of the house, windows contribute significantly to the appearance of a home. They also determine how light will be let into the house. You want your windows as clear as possible to let in natural light without any hindrance. Achieving this means both regular and correct cleaning. Cleaning that will get rid of dust and stains without damaging the glass panes. This will leave your house looking stain-free and revitalised as natural light flows in unimpeded. 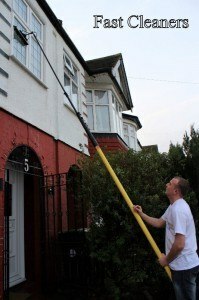 Fast Cleaners Hounslow provides window cleaning services to homeowners in London whether they prefer it as a one-off cleaning on its own, as part of their regular domestic cleaning or as part of their spring cleaning or moving out/in cleaning. We clean both the interior and exterior surfaces of the windows (exterior window cleaning service Hounslow is only provided where windows open towards the inside so that cleaners don’t have to lean on window sills). Our highly trained cleaners know how to handle your windows with due regard to health and safety. They are vetted and insured and you can rely on them for a quality job. We are members of the British Institute of Cleaning Science as well as of the British Safety Council and FSB. Being an insured London cleaning company, you can rest assured that we will take responsibility in the rare event of any mishap. When you come to us to clean your windows, you are guaranteeing yourself peace of mind. Get in touch with us on 020 3322 6358 to find out more about our cleaning prices or make bookings online.